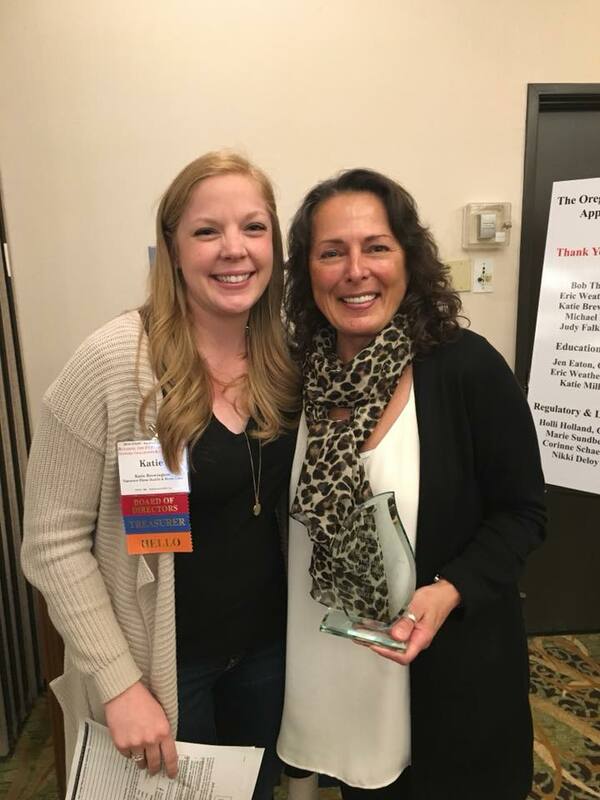 OAHC is now accepting nominations for the 2019 Hope Runnels Award and Home Care Employee of the Year Awards. Nominate those who demonstrate outstanding service in home care. 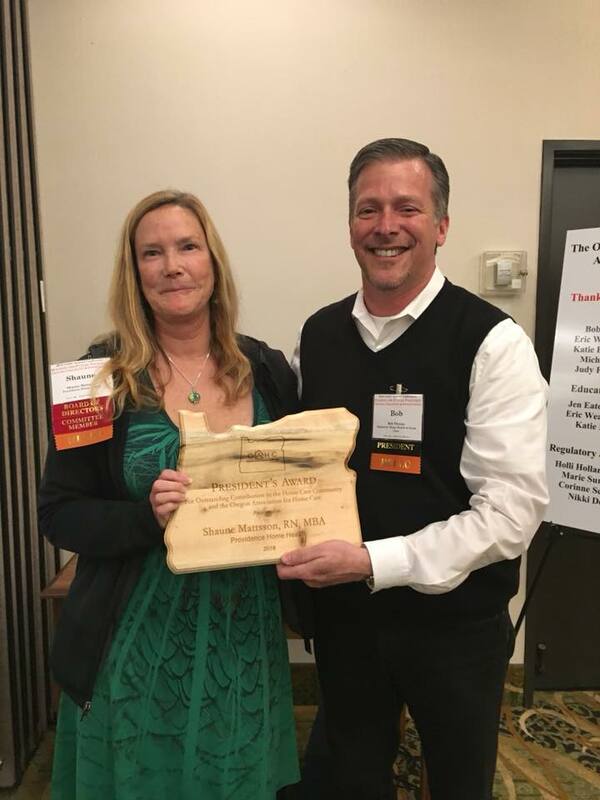 Awards will be presented during the awards luncheon at 11:30am on April 19th at the 2019 OAHC Conference. Sonia is the administrator of the Portland office of Signature Home Health where she has served for the last 7 years. Under Sonia’s leadership, admissions and census have increased almost four-fold during her tenure. During that time, she successfully moved the agency to a place where staff has been able to understand and successfully provide care to a changing payer demographic with the growth of Medicare Advantage payers. In addition, she has been able to help the agency take on higher risk and more acute patients through innovative care coordination models while also setting her team up to take on new alternative models of care including bundled payment (BPCI). Sonia has created a wonderful culture in her agency by developing a caring and nurturing environment. She is selective in hiring new clinicians and staff members as she not only focuses on clinical competence but also cultural fit. The result is a vibrant and welcoming environment that is a mix of seasoned professionals and new clinicians. She has mentored young leaders to move into increasingly responsible roles. She also believes that employee engagement always improves with bagels and other goodies of which there is usually an abundance. Sonia is a thoughtful and process-oriented person who loves to take on new initiatives and serves as an incubator of sorts to try new ideas and systems. Some examples include student programs, new staff orientation, care redesign and alternative payment models. She has always helped the company in the development and refinement of processes that can be scaled to other offices too. In her time at Signature, our industry has seen tremendous change and Sonia has been able to adapt to it and help her office thrive in the face of it. She has also had additional life challenges during that period which she has overcome and has been an example to those she leads. For all those reasons and more, I highly recommend Sonia Rai for the Hope Runnels Award. Shaune Mattsson has been a part of OAHC for many years. She has been serving on the OAHC Board of Directors since 2011 and served as President from 2014-2015. She currently serves on the Regulatory and Legislative Affairs Committee and is highly involved in advocacy including a number of marches on capitol hill on behalf of OAHC and the home care industry. "Providence Health & Services has a Hopes and Aspirations booklet written by the Sisters of Providence that states “Providence, our communities, and our society require that we work with others to find new ways to advocate more effectively for the poor and to meet their needs and avoid wasteful duplication”. Shaune demonstrates this commitment through her avocation for home health regulations on the local and national level. Those of you who have worked with her have been seen her endless commitment to making sure home health has a voice in continuum of care discussions. I appreciate that she is open to best practice ideas long before they become the standard of practice. Shaune is a teacher. Her favorite four words that have taught me so much are “show me the regulation”. Her words have challenged me to really know the many accreditation regulations and in knowing them be able to address emerging needs much more knowledgeably. 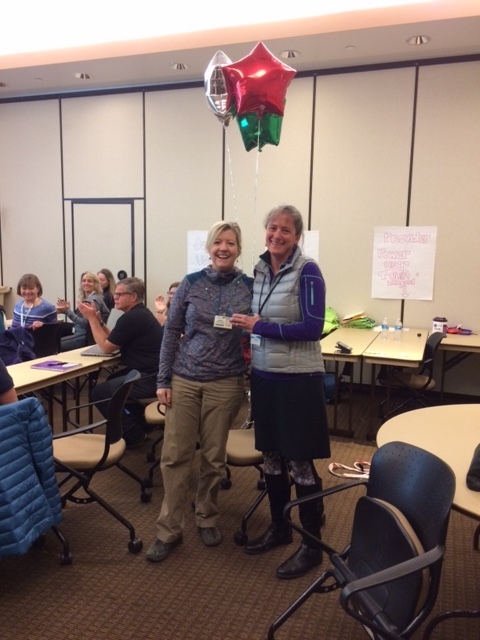 I am grateful to Shaune for her leadership and commitment to serving the home health community"
"Sheila Schneider-Mullins has been working as an RN case manager at Providence Home Care in Medford since 1996. Sheila exemplifies every aspect of our Core Values every day. Sheila demonstrates Compassion with her patients and their families whether it is a 2 week old baby who just entered the world or a 99 year old who is struggling with leaving this world." "Debbie Gallagher is a shining example of what all home health physical therapists should be. She is not only a competent, skilled therapist but she is calm, kind, consistent and incredibly knowledgeable in all situations. Debbie approaches her visits with an open mind and a gentle sense of humor that really puts patients at ease. She runs a beautiful visit that easily integrates regulatory requirements and point of service documentation all while providing individualized therapeutic interventions to meet each patient’s unique needs." "Sandy Walz has worked for our agency under various capacities, for longer than nearly all of us who currently work for Providence Home Care. We “inherited her” from Community Health Care in 1989 when Providence Home Care here in Medford was first established. It could be said that she is one of the “pillars” of our agency. And she truly is a “pillar” when it comes to Support Staff!" "Dr. Kemper works with Signature Hospice and Palliative Care full time. She is consistently present in the field supporting patients and families, making palliative or primary care visits, and providing in home needed support. Dr. Kemper works to educate our team and community on the importance and necessity for hospice and palliative care, through this advocacy our palliative care program has grown from a consultative program to fully staffed program serving over 100 patients. She has also increased education and understanding about the benefits of hospice in our community. Dr. Kemper is passionate about home care and like many of us believes that through home care we are better able to improve the patient experience, improve the health of our patients and reduce overall healthcare costs. Dr. Kemper is kind, passionate and amazing to work with and learn from." "Marian Aldstadt is a key team player that has been with Three Rivers Home Care for 19 years and a CNA for 28 years. Marian is one of the most dedicated members that we have had. She is willing to work long hours including Saturdays to make sure all of the patients are taken care of. Having a heart of gold, she often advocates for her patients regarding any needs they may have. She goes out of her way during her visits to get their mail or change their linens and make them feel like the most important person! Marian is the one of the most loved employees by the patients and the staff." 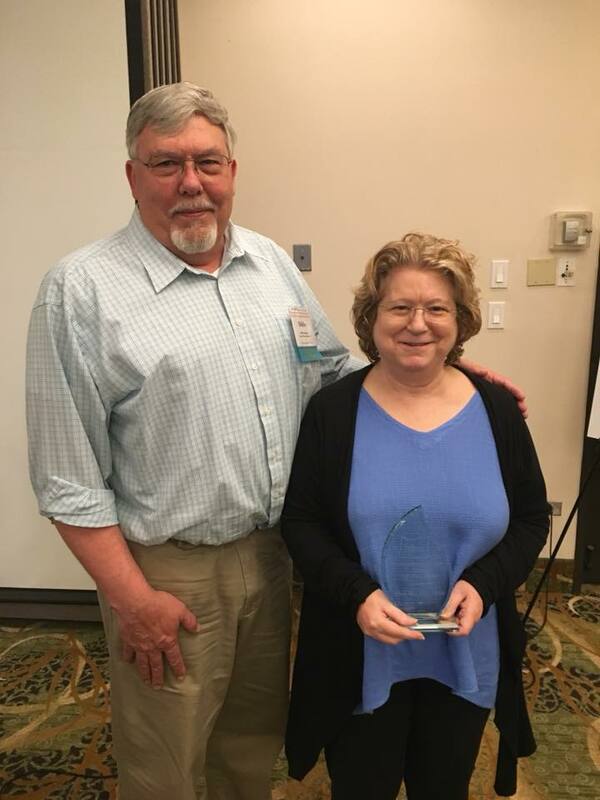 "Deb Welker has worked 30 years in the hospice field, she is a calming presence in any situation and a wealth of information on all things social work. She has an adept skill in honing in on family and patient needs and offering guidance in a nonjudgemental fashion. She is an excellent leader for social workers in our agency, setting the bar and leading by example. 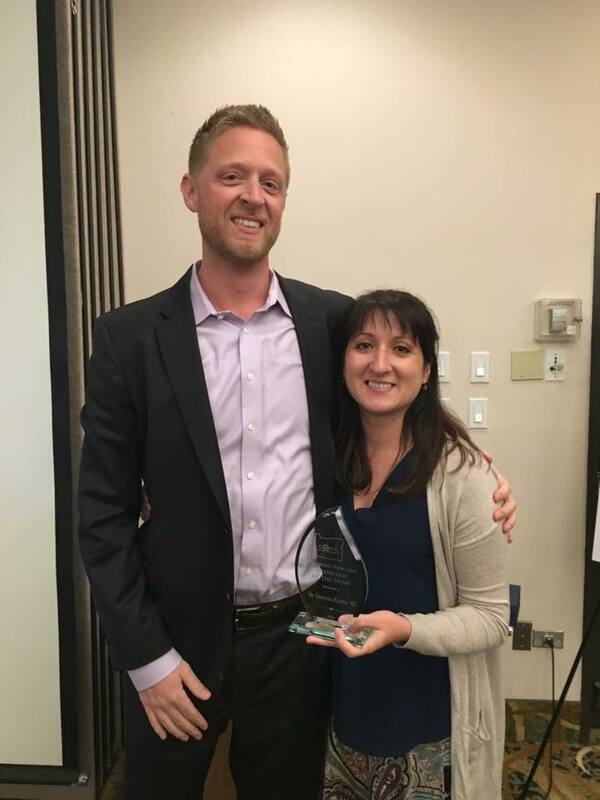 She is a huge asset to our agency and deserves this award for the many lives she has touched in her years of helping families, patients and colleagues." "Matt has been a chaplain with Signature Hospice for the past 8 years. Matt truly embodies the sacredness and soulfulness of hospice work. He not only provides amazing patient care and support to our families, but offers education, and direction to our hospice team to keep our “why” present and center. 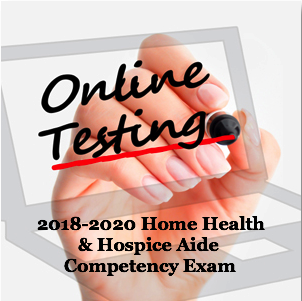 Through the recent changes, audits, and scrutiny that hospice is under Matt reminds us that we have the opportunity to positively impact our patients, families, peers, and community. Matt is a leader in our agency and in the community and advocates for better more meaningful care. I personally am honored to work with and learn from Matt." "Michele has been the volunteer coordinator with Signature Hospice for 11 years. Michele manages our volunteer program with efficiency and grace. We have many long term volunteers that stay active simply because of the amazing support they receive from Michele, she does little things that make a big difference to our volunteer team. Michele understands the importance of providing meaningful care to our patients and families. 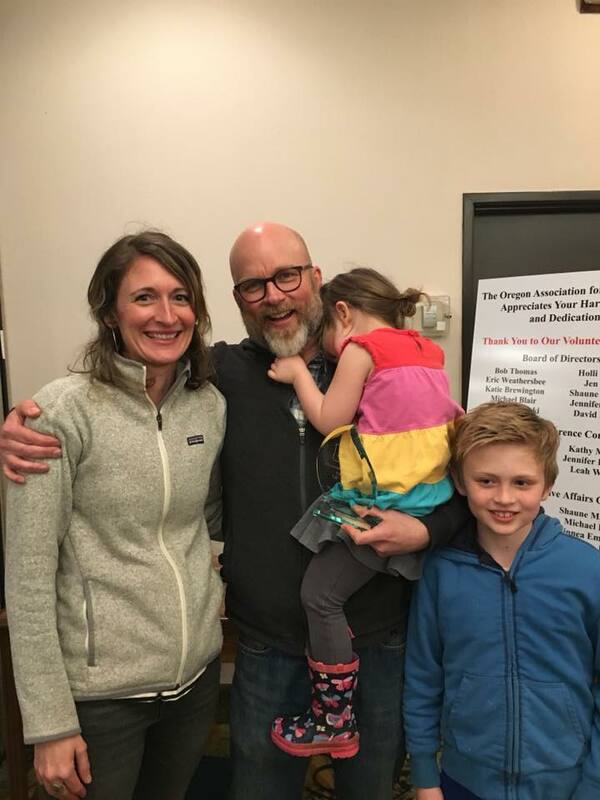 She is driven to continue learning and growing in her own practice so that she can better educate and develop her volunteers and volunteer program. Michele also offers her expertise to other hospice agencies with the goal of providing the best care possible. Michele is a consistent calming presence in our agency and a leader to her many volunteers." "Chuck has been a companion volunteer with Signature Hospice Portland for over seven years. In that time his work has exemplified the core values of Signature Hospice -- integrity above all else, passion for the quality fo people's lives, and the spirit and practice of caring that emphasizes comfort and dignity for the dying." This award shall be open to all membership for nomination and shall be given to the registered nurse or licensed practical nurse whose direct patient care service is exemplary. This award shall be open to all membership for nomination and shall be given to an occupational therapist, speech therapist, physical therapist or a medical social worker that provides direct patient care service in an outstanding manner. Other therapy categories may also be included. This award shall be open to all membership for nomination and shall be given to the home health aide whose direct patient care service is exemplary. This award shall be open to all membership for nomination and shall be given to a support staff person, such as medical records or health information personnel, receptionist, customer service staff or an assistant who stands out beyond all others. This award shall be open to all membership for nomination and shall be given to a volunteer who gives unconditionally of him or herself. This award shall be open to all membership for nomination and shall be given to a medical social worker that provides direct patient care services in an outstanding manner. This award shall be open to all membership for nomination and shall be given to a physician whose direct patient care service is exemplary. This award shall be open to all membership for nomination and shall be given to a chaplain in the hospice field whose direct patient and family service is exemplary. This award shall be open to all membership for nomination and shall be given to a hospice coordinator person, such as volunteer coordinator or bereavement coordinator, who stands out beyond all others. The Hope Runnels award was created in 1980 in honor of Faith “Hope” Runnels. Hope devoted much of her life to building the home health care industry in Oregon and was a co-founder of OAHC. Hope was one of 57,000 nurses to be awarded a Bronze Star for valor in combat during World War II. She was the 14-year executive director of the Visiting Nurse Association and was instrumental in the development of Portland’s first hospice program. Hope Runnels passed away in July of 2001, but her lasting legacy as a powerful force in home care will forever live in the embodiment of this award. 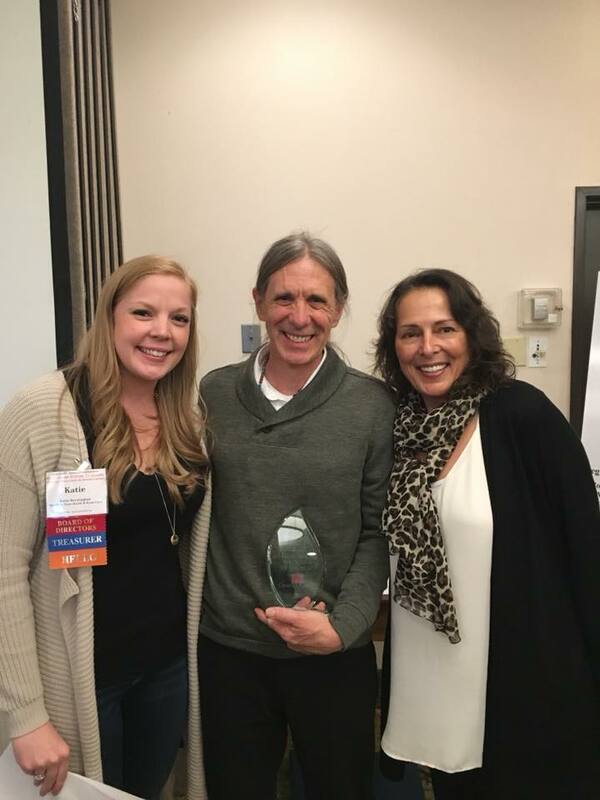 This award shall be open to the OAHC membership for the nomination of an individual in a management role who demonstrates outstanding leadership, service and achievement as a pioneer in furthering the scope of home health services in Oregon. 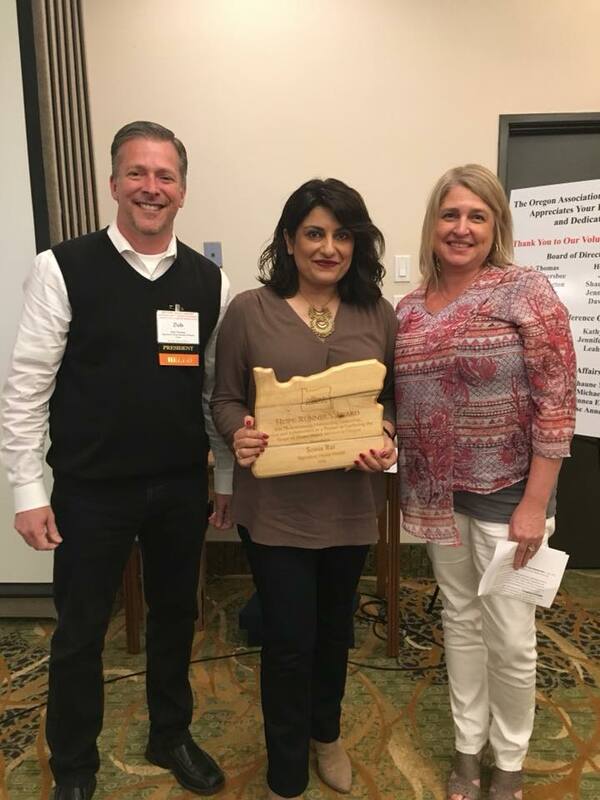 This award is given to an individual for outstanding contribution to the home care community and the Oregon Association for Home Care. 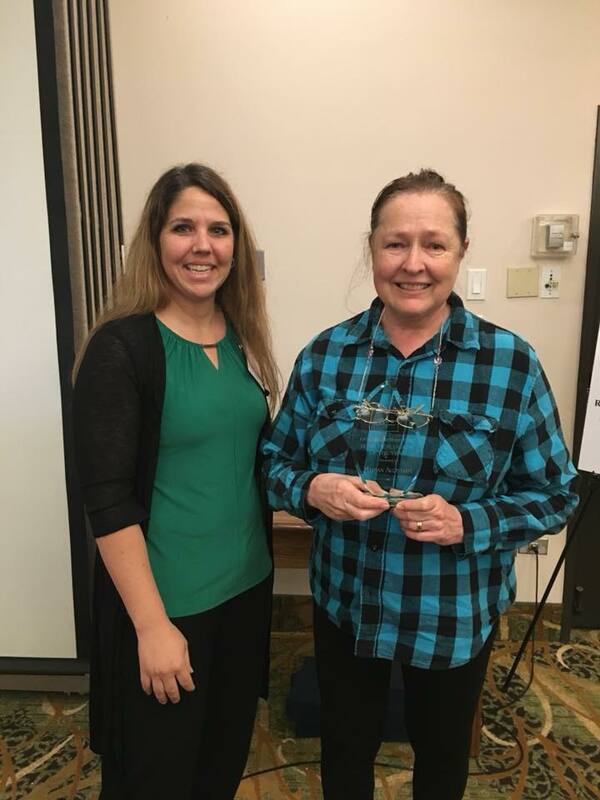 The purpose of this award is to recognize effective advocacy and leadership in furthering the interests of home care and hospice in the legislative arena (either state or federal). Any work that either introduces, supports or educates legislative bodies on the needs/interests of the home care and hospice industry (I.e. 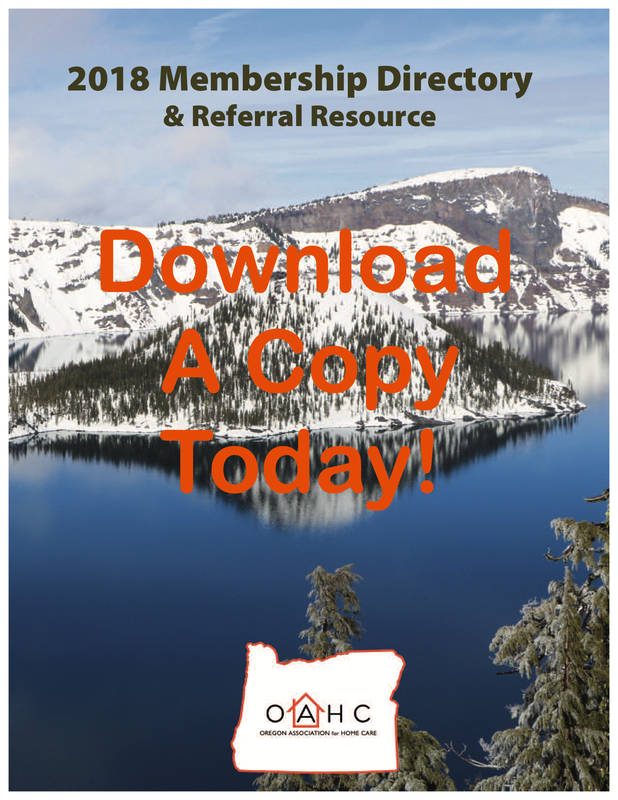 Introduction of legislation; legislation co-sponsorship; serve on a committee that affects the outcomes of bills / legislative activities; lobby elected officials to support legislation related to home care). *State or Federal elected officials such as Representatives, Senators, Mayors, Governors, etc. *Volunteers, patients and / or families who utilize and support home care services.